Designers, design lovers, and Long Island locals have been recently traveling to the quiet village of Bridgehampton, NY. Why? 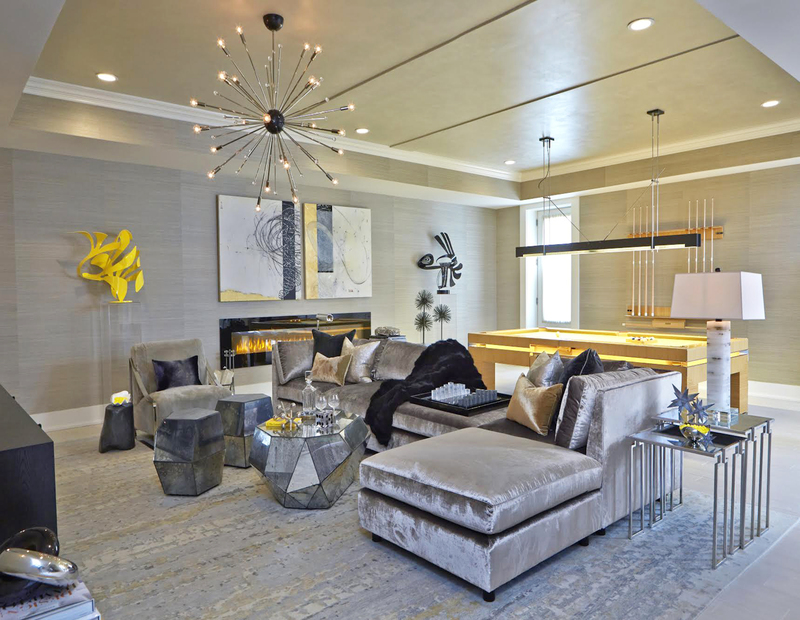 Well besides the beautiful beaches, comely countryside, and sun-drenched skies, everyone has been checking out The Hampton Designer Showhouse, a 6,500 sq ft modern barn house home designed by 25 top interior designers presented by Traditional Home. This year, the Kuotes has been fortunate enough to speak with several of these designers (so keep a look out on our Friends of the Kuotes page). This week, we’d like to introduce our new friend, Melanie Roy. Q. Can you share five words that describe your design style? A. Creative, sophisticated, inventive, brilliant, and decisive. Q. What unique design elements will we find in your recreation room? A. There are some unique art pieces, including a melting lollipop sculpture by Desiree Obtain Cherish. The Kuotes loves the fun, vintage vibe of Melanie’s rec room—from the nostalgic Guy Stanley Monopoly board painting hanging above the game table, to the comfy velvet sofas, to the contemporary whimsical statues (one named “Road Runner,” a cartoonish blast from the past) flanking the abstract diptych that seamlessly ties together the room’s color palette. Also, note the grass cloth wallpaper (so warm and textured!) and how the ceiling is hand-painted in a metallic finish that makes the room glimmer. This is the perfect space for families that like to have their fun in style. Q. What was your inspiration for this room? A. 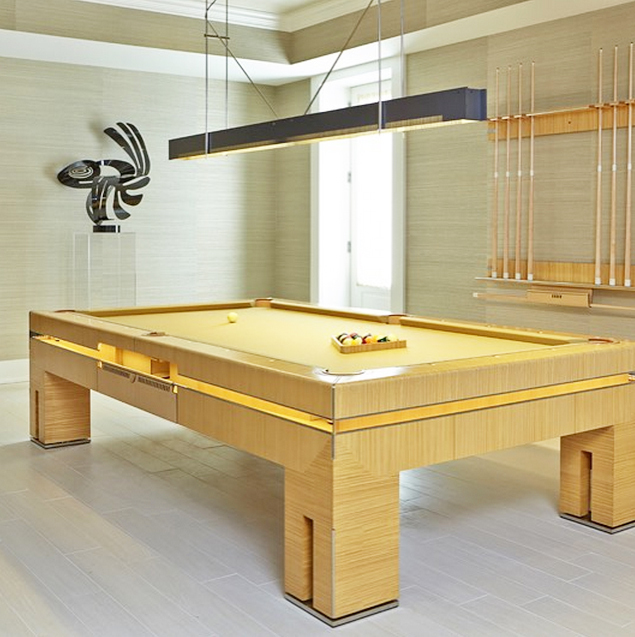 My inspiration for the room came from a spectacular lemon tree wood pool table by Tresserra Furniture of Barcelona [featured above]. I saw the pool table for the first time in December while I was in Paris with my husband. We were walking near the Louvre and happened upon Tresserra’s Paris showroom. We were lured into the showroom by the most unique, magnificent pool table. Rarely does a piece of furniture move and inspire me as much as this did. I created a modern, high-style recreation space for family and friends to relax and spend time together in an elegant, comfortable space that complements the chic Hamptons lifestyle. Q. What was it like getting the pool table to the Hamptons? A. The pool table was installed by two men from Barcelona. It actually got delayed in customs on its way from Spain and took 48 hours to assemble! Q. What do you do best as a designer? A. Family-friendly design that addresses my client’s needs. Q. Did you have a favorite room other than your own? A. The mud room. 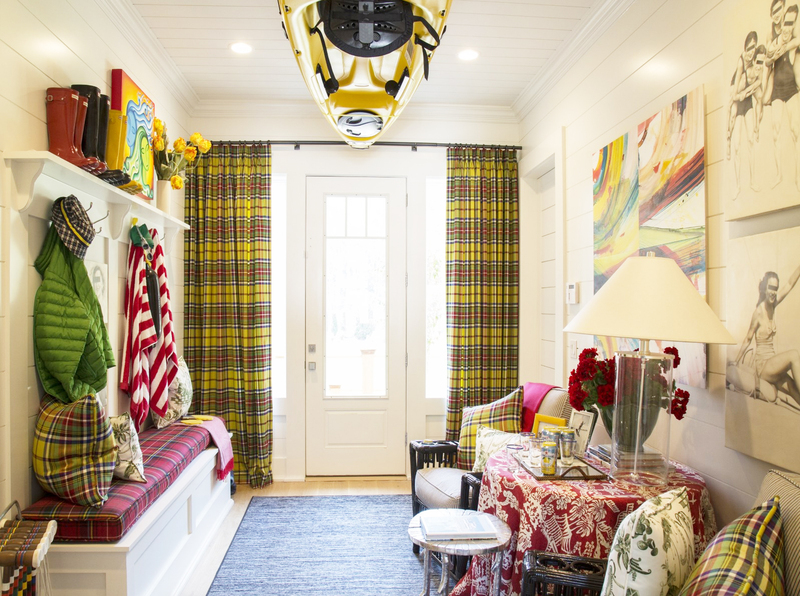 I love well-designed mud rooms, and I designed the mud room for the 2014 Hampton Designer Showhouse. Melanie’s favorite room at the 2015 showhouse. Throwback to Melanie’s room last year! Q. What design trends do you see happening right now? A. 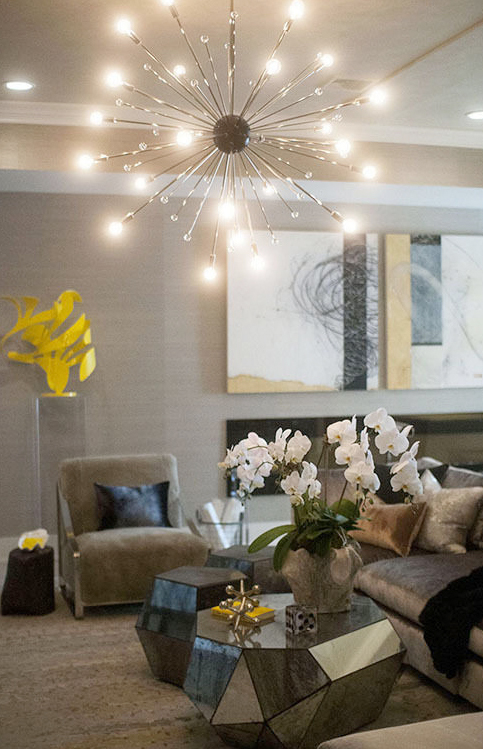 A growing trend in design is comfortable, durable spaces that are also beautiful. Q. 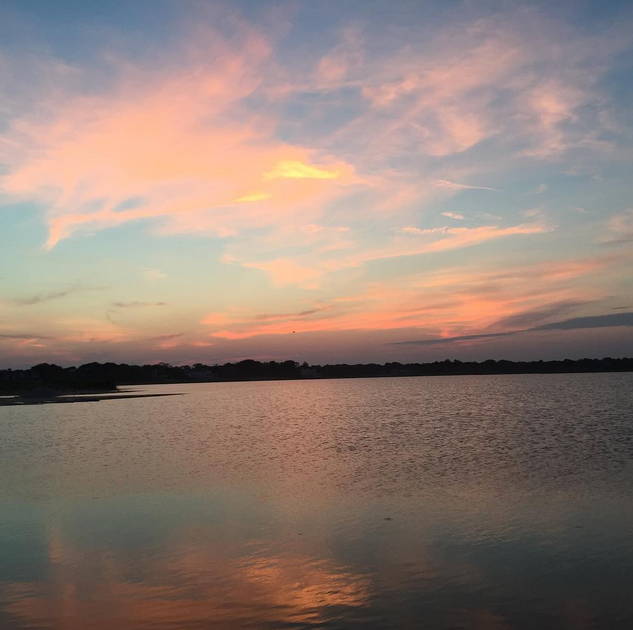 What is your favorite thing about the Hamptons? What a beautiful shot of the Hamptons (borrowed from Melanie’s Instagram @melanieroydesign). 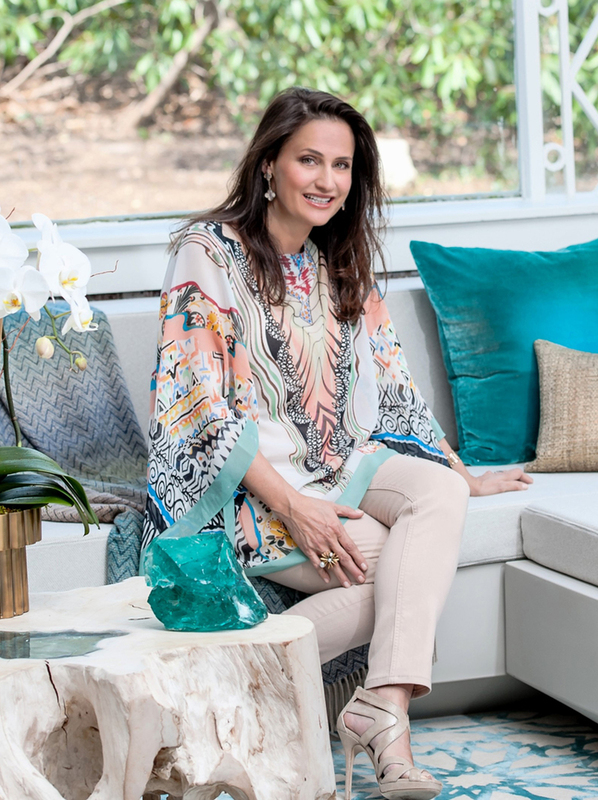 Melanie Roy is the Owner and Principal of Melanie Roy Design, an interior design firm of New York City and the Hamptons. The Kuotes would like to thank Melanie for sharing with us. The Hampton Designer Showhouse is open daily Sunday, July 26th to Monday, September 7. For tickets or more information, check out their website here.